I just got this great Linkyo RFID card cover. The Linkyo card cover is a great little card cover that has RFID blocking protection. The RFID blocking cover keeps your credit card safe from thieves. These day thieves are so high tech, they don’t even have to touch your credit card to steal your information right off it. 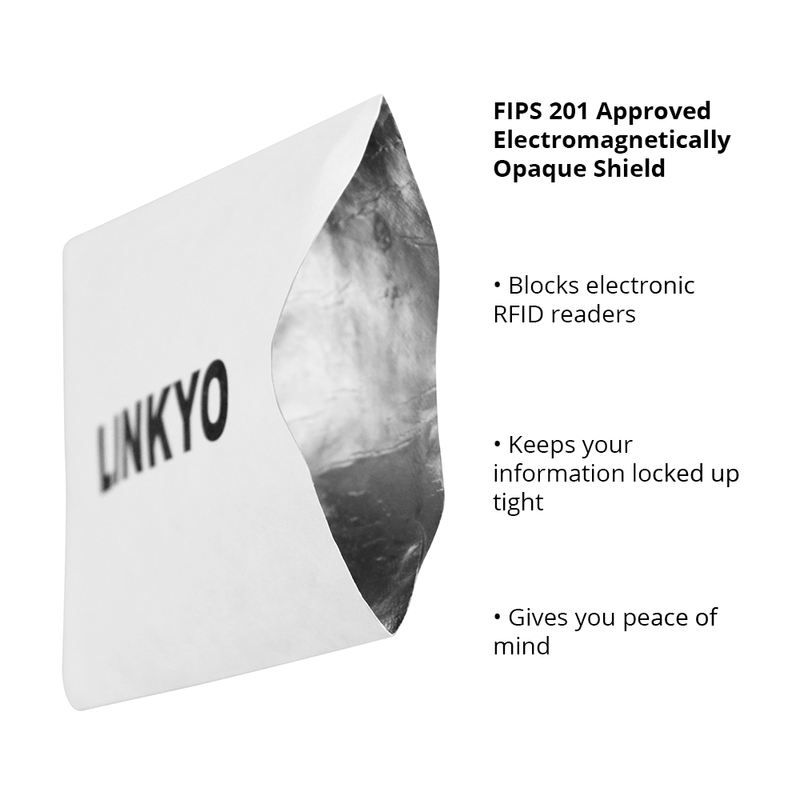 With the cover from Linkyo they will not be able to scan your card from afar. You can be sure that your credit card information is safe when you cover them with the Linkyo. I have them on all of my credit cards inside my wallet. You can purchase them from Amazon!